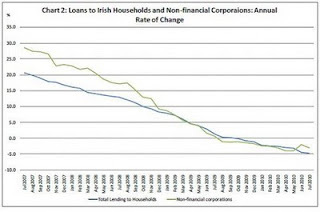 New lending remains low and continues to be governed by the conditions of the Subscription Agreement entered into with the Irish Government during 2009. Advances during the period have been restricted to funds that had been previously committed or approved to protect asset quality and aimed at reducing overall risk to the Bank. At 30 June 2010, committed lending work in progress (‘WIP’) totalled €1.1bn (31 December 2009: €1.9bn). The reduced level of WIP reflects the conditions of the Subscription Agreement, the reevaluation by both clients and the Bank of previously approved projects due to the changed economic environment and the expiry of previously approved facilities. In other words the Government - which looks set to pour (not sure I've got the right 'p-word' there) as much as €40 billion into Anglo-Irish Bank - is insisting that they don't lend any money to new customers! Remind me, why are they're doing this...? 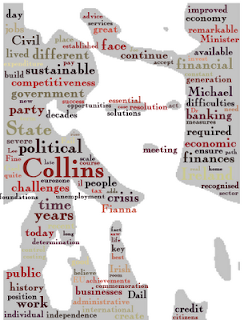 The stories of falling lending and the Anglo-Irish saga are directly linked of course. 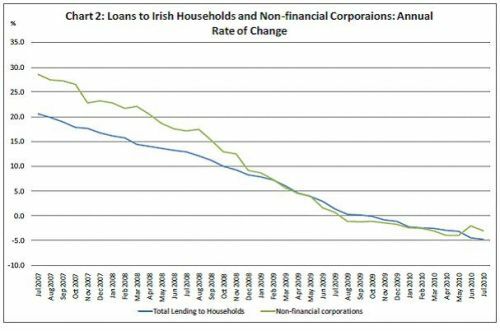 The Government's disturbingly stubborn approach to the Anglo and wider financial crisis in Ireland is making it more expensive for other Irish banks to source funds that they can actually lend to businesses and consumers. They are lending more by way of short term overdraft facilities (as Finfacts points out), but that of course this comes at a very high interest rate to borrowers (overdrafts are the equivalent of credit cards in that respect). Whereas longer term lending - the type synonymous with investment to secure long term growth - is shrinking. Couple this with the Government's own borrowing problems and it's not too difficult to see a very nasty 'cash flow' crisis for the economy in the months ahead. Even Ireland's money supply figures point to a worsening situation - M2 and M3 are once again shrinking, whilst M1 is likely to shrink in the next few months if recent trends continue. I've heard from numerous businesses (and their accountants and even from several bank managers) that the Revenue Commissioners are giving less and less leeway to businesses struggling with VAT and PAYE/PRSI payments - even closing profitable but cash strapped businesses down for debts of less than €10,000. We're all increasingly caught in a squeeze of the Government's own making. And still they keep pouring billions into Anglo. We're not there yet. At the point where Baron de Rothschild investment advice applies, namely: buy when there's blood on the street. That's some way off I think, for now anyway. But Gonzalo Lira reminds all recovering apocaholics that, even as things are getting worse, they will eventually get better. The quote is from a fascinating post on the Chilean experience of hyperinflation under Salvador Allende. I hadn't realised how bad it had got back then. Lira thinks Chile's experience is a precursor of what lies ahead for the United States. Minus the military coup, disappearances and death squads hopefully. In 1973, Don Alfredo was a youngish man, just starting out, with a degree in engineering but no money—until he inherited US$3,000 from a deceased aunt. Alfredo realized that the $3,000 were in a sense worthless: He couldn’t buy anything with them, and it wasn’t enough for him to leave the country and start over someplace else. After all, even then, $3,000 was not that much money. So he took those $3,000, went down to the stock exchange, and spent all of it on Chilean blue-chip companies: Mining companies, chemical companies, paper companies, and so on. The stock were selling for nothing—less than penny stock—because of the disastrous policies of the Allende government. His stock broker at the time told him not to buy stocks, as Allende’s government, it was thought, would soon nationalize these companies as well. Alfredo ignored his broker, and went ahead with the stock purchases: He spent all of his $3,000 on buckets of near-worthless equities. On September 11, 1973, the commanders in chief of the four branches of the Chilean military staged a coup d’état. 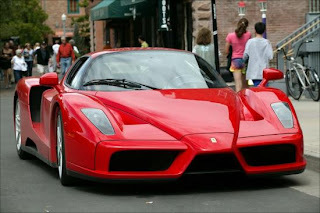 Within a year, Alfredo’s stock had rebounded about ten-fold. Since then, they’ve multiplied several thousand-fold—yes: Several thousand-fold. Don Alfredo has lived off of that $3,000 investment ever since—it’s what made him a multi-millionare today. He realized, of course, that either those blue-chip companies would be nationalized by Allende—in which case he would lose all his $3,000 inheritance, which really wouldn’t change his fortunes very much—or somehow a new normal would arrive in Chile. Since the $3,000 couldn’t buy him anything, he took a gamble—and won. What do these two true stories tell us? Simple: Buy when there’s blood on the streets. Do read the whole thing. Of course, it would be wrong to assume that hyperinflation is inevitable - in the United States or in Europe - though demography may push us that way. 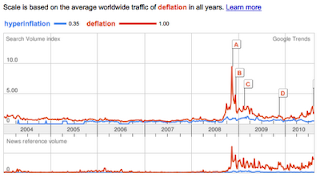 Even Google Trends shows deflation to be the bigger news story right now (see image). But Lira reminds us that investment is about timing as well as risk. There will be fortunes to be made the years ahead, even by recovering apocaholics. 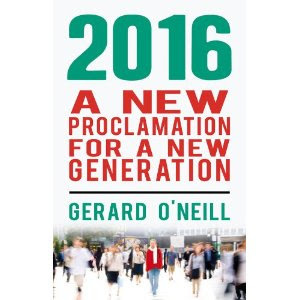 Nick Webb has written a two-part piece in the Sunday Independent on Ireland in 2020. I'm quoted a few times. I think Nick strikes the right balance between concern and optimism. Which isn't an easy thing to do these days. Indeed, if there is one thing scarcer than demand for Irish Government bonds right now it is optimism. And we need the latter even more than the former. What I found especially interesting about Matt's thesis was the extent to which every age has had its chorus of 'doom-and-gloomsters' warning that the end is nigh. He includes numerous quotations from those warning (from Socrates onwards) that 'if things keep on going the way they're going then we're all doomed'. But of course they don't go on the same way. 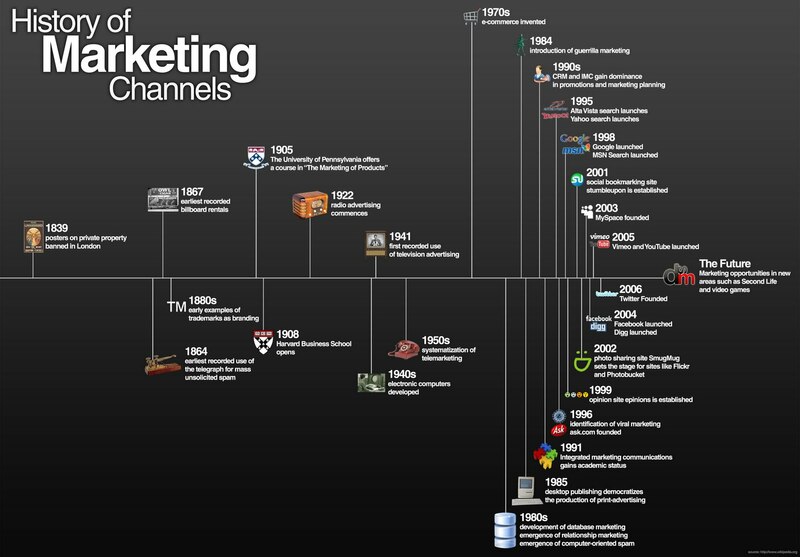 The human capacity to change direction to a better path has seen us right so far. Needless to say his book has incurred the ire of those - almost exclusively on the Left - who don't believe in a better future any more. Which is kind of sad. The labour and social democratic movements in Europe and America were founded by working class men who believe in progress towards a better future. But the hijacking of the same movement by environmental and feminist activists - united in their contempt for working class men as it happens - has turn the Left into a force of reaction. According to Fred Siegel it all started in the 1970s: such that nowadays the Greens are the New Gentry. Matt also makes it clear that optimism is always and everywhere a minority taste. He has some interesting explanations for this: some of it may be down to the DRD4 serotonin transporter gene which is found in only 20% of the population which possibly endows them to be more optimistic than the other 80%. A bit deterministic I grant you. He also cites Gary Alexander - a self-styled 'recovering apocaholic' - who, like many, grew up expecting the world to end some time soon (nuclear war, avian/swine flu, pollution, climate change) only to realise it hadn't. And won't. We certainly need more people like Gary in our media. But even optimists have to get down to details at some stage. Which is why I welcome Constantin Gurdgiev's initiative over at True Economics to start shaping a manifesto for radical change in Ireland to deliver a better future than the one we heading towards 'if things keep on going the way they're going'. As Constantin puts it: we face a stark choice between following the path we are on and which is leading to a decade of stagnation and failure, or of changing to a more radical, but for many uncomfortable path that will deliver real change and real progress. His manifesto gets my vote. Apocaholics of the world unite: you have nothing to lose but your pessimism. I have just discovered Tagxedo - one of those cool Microsoft-powered services they suddenly seem to have started producing. 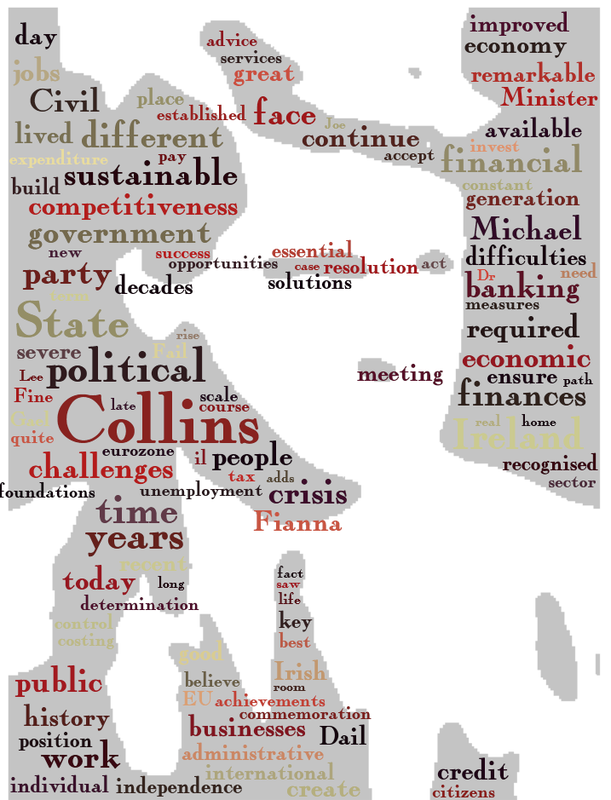 If you like Wordle you'll love Tagxedo. It's an interesting essay on 'the changing timetable for adulthood' affecting young people in most Western societies nowadays. I'm not sure I buy her entire argument in relation to the psychological origins of the changes (i.e. : the discovery of a new development phase called 'emerging adulthood'). Robin Hanson might have a better explanation with his hypothesis that we are seeing the consequences of an over-investment in status markers by young people - particularly by young women. But the changes are undoubtedly under way: young people are taking longer to 'grow up' with all the consequences that that entails (e.g. : falling birth rates, especially in Europe). On the other hand, for those of us for whom our twenties are a distant (though fondly remembered) memory there's some good news in all this - less competition. It seems that the next big surge in innovation will come from the middle-aged and not from 'peach-fuzzed entrepreneurs' in their early twenties. Erik Erikson posited that the middle-aged often enter a lifestage of 'Generativity' that unleashes a spirit of creativity and compassion with real benefits for the wider society and economy. And with the young ones still 'finding themselves' it might well be up to us older ones to do our bit to get the economy back on a recovery path. The Leaving Cert results were greeted with the by-now-annual chorus of 'this isn't working/this can't go on'. It seems that everybody agrees the system needs to change... and nobody is doing anything about it. It is an uncanny reminder of the growing chorus of commentators who were warning that our credit-fuelled binge in the mid-2000s would end in tears. Everybody knew it couldn't go on... but it did until it came to a crashing halt. He's talking about lending decisions and risk assessments (and innovation and a lot of other things - do read the full essay) but think about it in the context of the Leaving Certificate. 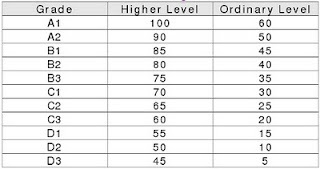 We have reduced the process of determining the ability of an 18 year old boy or girl to succeed in a particular course or career to an algorithm that allocates a score out of 600. Shown in the table above. And like all such simplifications it is vulnerable to error and to failure. Think Triple-A rated Mortgage Backed Securities. Sure what could possibly go wrong? There are a few candidates for the Leaving Cert equivalent of 'sub-prime lending'. One obvious candidate is the continuing high failure rates in maths and science subjects. With the lead role of 'Fannie and Freddie' played by the teachers unions and the universities (though not all). But this is a problem that can be fixed by learning lessons from others who have faced similar problems (Finland, for example). The growing gender education gap is a problem for which there are no easy fixes - practically or politically. There is though one obvious and very practical solution to the poorer performance of boys than girls in the Leaving Cert. 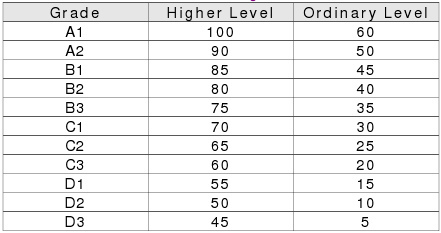 Lower the CAO requirements for boys versus girls. It used to be done in the UK for the 11-Plus exam. The rationale is clear enough: boys and girls experience different rates of cognitive development. And before you object, tell me where you stand on quotas for female TDs? A friend was telling me recently that his daughter (who is Irish) and her husband (who is Spanish) always holiday in Wexford with their children every August to get away from the heat in central Spain. At the same time as Dublin Airport is heaving with Irish people anxious to get to Spain for their week or fortnight of sunburn and air conditioning. Funny that. Still, it reminds me that sometimes we don't know how lucky we are on our depressed little island. We have a tendency here in Ireland to flip from 'we are the greatest' to 'we are useless' in less time than it takes to say Anglo Irish Bank. So sometimes we need to see ourselves as others see us in order to get a more realistic sense of how well we are doing relative to others. The latest global poll by Gallup is just such a refreshing - and positive - reality check for our benighted country. 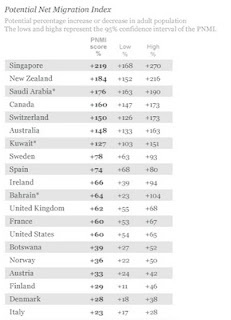 Gallup have simply asked people around the world where they would like to emigrate to if they had a choice. The answers are used as part of Gallup's Potential Net Migration Index (PNMI). Simply put, they work out what would happen to the adult population of each country if all the people elsewhere who wanted to move there did so. It's a fairly clear indication of a country's appeal when we see how many people would vote with their feet and move their if they had to. So despite our excesses of despair, from the outside we look like a very attractive place for many people to live. Our PNMI is down from 75% a few years ago during the boom, but we're ahead of the UK and USA and many other EU countries in terms of appeal. Although Irish attitudes to immigrants have turned more negative during the recession, the fact is that would-be immigrants recognise that - despite the recession - we remain an attractive place to live and work. And you don't need air conditioning. The more I think about it, the more I suspect that behavioural economics (BE) will play a bigger part in business practices (especially marketing) than in public policy practices in the near future. 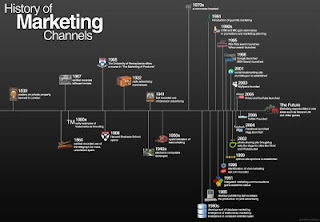 Sure, BE will remain relevant to both areas of practice - and the balance of academic research may well be focused on the latter - but I suspect that the usual business imperatives to solve pressing problems quickly will speed up commercial BE adoption. Freedom from Choice! —Use defaults for prescriptions and explanations of benefits. 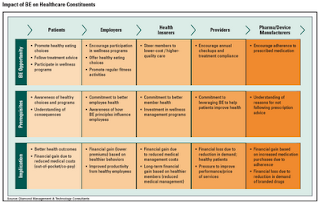 The savings are enormous when participants in a healthcare plan default to electronic explanation of benefits and mail order prescriptions. Does The Emperor Have Clothes?—When patients are willing, provide transparency about their behavior to family members and loved ones. A grandmother is much more likely to take her medication if her grandchild is sent a text message when Grandma isn’t taking care of herself! I Could Have Been a Contender!—Use the power of regret. If you want people to participate in a health regimen, enter everyone in a lottery and if the person “wins” they will get a prize… unless they fail to participate! The power of the idea that they won something but couldn’t collect their reward is much more compelling than if they had a chance to win and did not. 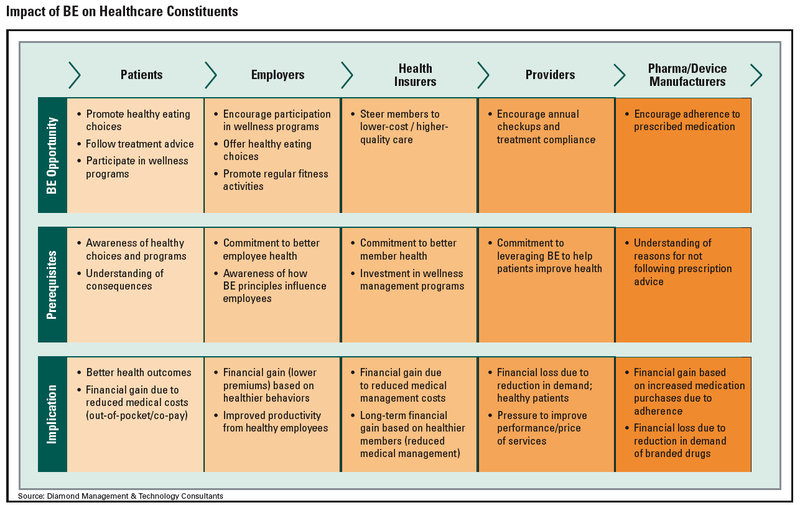 The last one is interesting: instead of monetary incentives use in-kind incentives. Now there's an idea for the HSE next time it meets the IHCA: instead of offering 'mickey mouse' salaries why not offer them a gold star for every satisfied patient? Private or public. Facebook has only been around for six years and already has up to 1.5 million users in Ireland. And they're not all young ones who can't remember when there wasn't an Internet. As the profiles in a report from my own company have shown recently. Note - none of the other media have gone away: but the difference this time is that consumers want to use the media to their own ends. 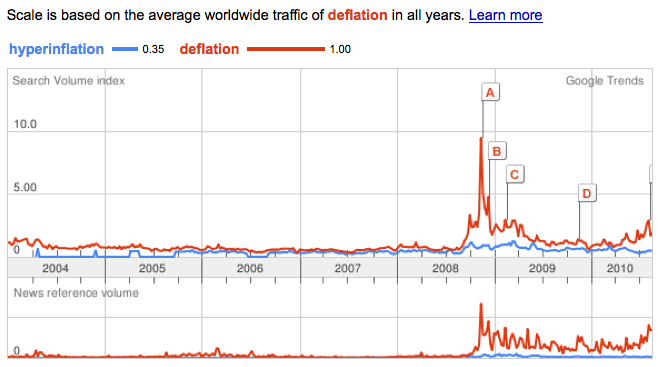 Like blogging I guess (though it isn't featured in the chart oddly enough). He's right up to a point: though I have two caveats. The first is that he might just underestimate the resilience of the Irish people and their ability to discount (or turn off) the 'doom and gloom' mood music that dominate our airways and newspapers. 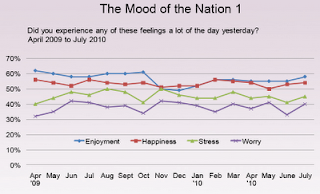 The chart below is from the latest AIB-Amárach Recovery Indicator and it shows the dominant emotions in the daily lives of Irish people since April last year. Enjoyment and happiness remain the most prevalent emotions, stress and worry are secondary (as are anxiety, sadness and anger). 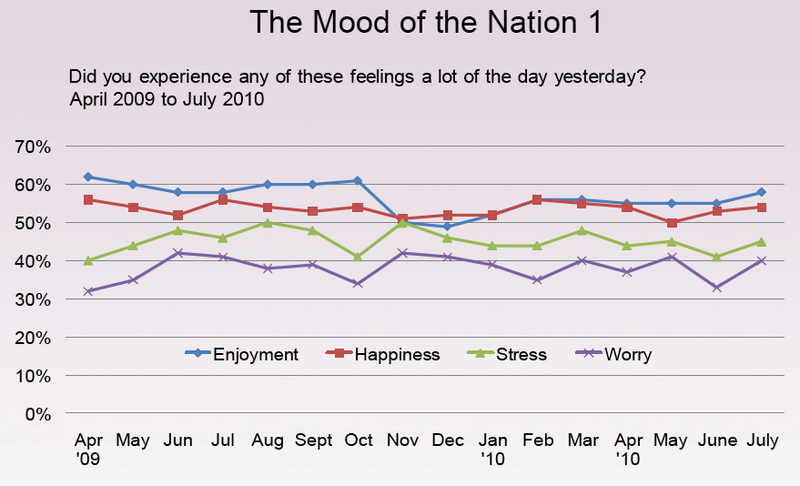 It's a story of public anguish and private contentment for the majority of Irish people it seems. The second caveat to Coleman's critique of the bad news merchants is that there is, unfortunately, considerable potential for more bad news in the coming months. And I'm not talking double dips and falling stock markets (which we can manage), but rather the consequences of the self-inflicted wound on our economy that is Anglo-Arnotts Bank and NAMA. A wound that is turning gangrenous... Right now we are treating these home grown problems with the equivalent of medieval leeching. And the danger as I see it is that the damage now being done to the wider economy by these failing efforts will leave both the economy and the government weaker (in terms of borrowing capacity) than would otherwise be the case in the event of further, external shocks. The Anglo/NAMA mess should be abandoned: better now an orderly retreat than a catastrophic rout - as proposed recently by Peter Matthews. When risks threaten, cognitive mechanisms bias people toward action or inaction. 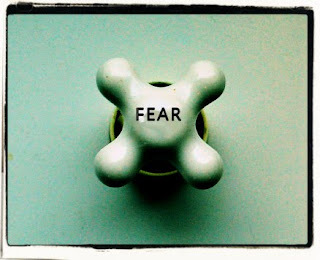 Fearsome risks are highly available. The availability bias tells us that this leads people to overestimate their frequency. Therefore, they also overreact to curtail the likelihood or consequences of such risks. 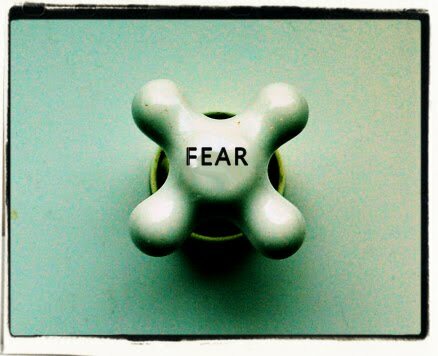 More generally, fear can paralyze efforts to think clearly about risks. There is a better way to restore trust in our financial system and get our economy rolling: Limited Purpose Banking. It's a simple and essentially costless change in our financial system that limits banks to their legitimate purpose: connecting, and intermediating between, borrowers and lenders and savers and investors. Under Limited Purpose Banking, all financial corporations engaged in financial intermediation, including all banks and insurance companies, would function exclusively as middlemen who sell safe as well as risky collections of securities (mutual funds) to the public. They would never, themselves, own financial assets. Thus, they would never be in a position to fail because of ill‐advised financial bets. No‐risk banking? Exactly. It means making banks‐‐meaning all financial corporations‐‐be the disinterested intermediaries they pretend to be. It's radical - but a great deal more appealing than lumping our children and future generations in Ireland with the catastrophic consequences of Anglo and NAMA. A theme that is related, by the way, to Kotlikoff's work on Generational Accounting (which led him to forecast ten years ago the degeneration of the eurozone we are now experiencing). His is the kind of smart, long term thinking that we need right now. By looking beyond the current mess, and deliberately side-stepping the Anglo/NAMA trap, we can better prepare ourselves for the future not just for the decade ahead but for generations to come. 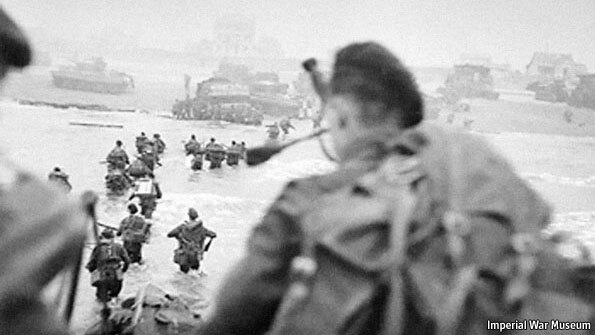 We have nothing to fear but our failure to act in the interests of future generations of fellow Irish men and women. The International Labour Organisation has just brought out a detailed report on the global crisis of youth unemployment. The report suffers from the inevitable ideological biases of the ILO. For example, the (very real) unemployment problems of young women are referred to directly more than 30 times, whilst those of young men are singled out less than 20 times. Even though youth unemployment is overwhelmingly a problem affecting young men (48 million unemployed) rather than young women (33 million unemployed). This is especially true in developing countries, but also in countries like Ireland and Sweden. Recent research by Giuliano and Spilimbergo builds on the premise that young adulthood is a particularly impressionable age for the formulation of beliefs about how society and the economy function. Their study concludes that a person exposed to a recession between the ages of 18-25 years is more likely to believe that life success is due more to chance than to hard work, to support measures of government redistribution but to have little confidence in public institutions at the same time... The unskilled youth are most at risk of detaching themselves from the labour force to remain dependent on the State for the remainder of their lifetime. 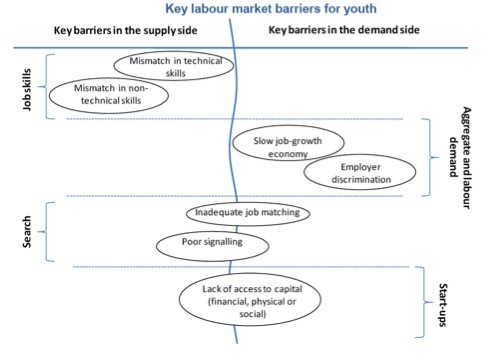 Nevertheless, the ILO is right to point out the seriousness of the global youth unemployment problem. 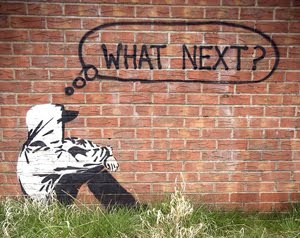 In ten and even twenty years time, the scars left by the current economic crisis will not be seen in our GDP figures and balance sheets, rather they will be seen in our failing housing estates and prisons as a generation of young people are condemned by bad choices, bad luck and bad policies to a lifetime of failure. We can't do anything about the bad luck (graduating in the middle of a severe global downturn, for instance), but we can do something about facilitating better choices and changing - or getting rid of - bad policies. The benefits of doing so to our society and to our country will be vastly greater than anything we will allegedly gain from the continuing bail out of Anglo Irish Bank etc. I don't buy the 'end/death/collapse of the middle class' thesis. Not for now, anyway. Firstly there is the problem of definition: it used to be tied to occupation, but now it seems to be tied to housing tenure and/or the employment status of married women. At least it is in those analyses that tie the ongoing/coming demise of the middle class to either falling house prices (David McWilliams) or to fewer two-income households (Mack). I think both factors are exaggerated because both are relatively new phenomena and relate to a relatively small minority of the 'middle class' itself. Take house prices: most middle class people didn't move home or buy additional properties during the boom. The value of their properties may be down on paper - but they were also only up on paper. The net change in their wealth is moot. As for two-income households, it was only as recently as 2005 that the majority of married women of working age were categorised as being in paid employment. Well behind the trend (and levels) in other countries. 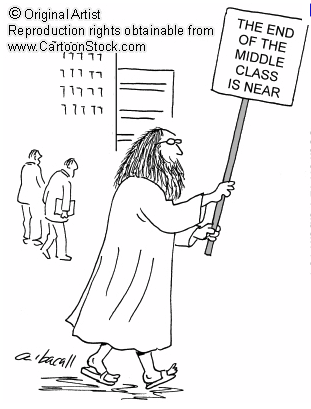 I doubt therefore that house prices or dual income patterns either truly define the middle class or herald its demise. Furthermore, anxiety about future status (and financial wellbeing) has probably been the hallmark of the middle classes everywhere and throughout history. That's why they save so much, buy so much insurance, and insist on future-proofing their children by getting them into university etc. They have more to lose, and therefore are more anxious and more vocal about what they might lose. As no doubt are their middle class offspring working in the media, journalism and so on. Yes, some groups in society are disproportionately affected by the recession - the middle aged in general, and young men in particular. Perhaps 'middle class' is being confused with 'middle age' - after all, the latter tends to correlate with peak borrowings, incomes, and expenses over the course of the lifecycle. All the things that are sources of major financial stress in a downturn. But I don't see the middle aged disappearing any time soon... And as the recent AON report on the retirement intentions of European workers points out: Irish workers have responded to their recent pension losses by simply assuming they'll work longer and retire later. 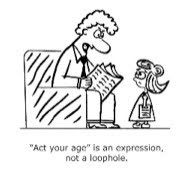 'Middle age' looks likely to be extended into the 60s age group. The global outlook for the middle classes is, if anything, very bright - given developments in the BRIC economies, for instance. That's no consolation to someone in Ireland wondering where their next pay check or mortgage payment is going to come from, but the same factors driving the global expansion of the middle classes - economic growth, educational investment and growing demand for professional services - will return and do the same for Ireland's middle class. In the meantime, they'll do what they've done before (in far tougher times than these): muddle through to better times. That has always been the way of the coping classes. I spent the last day of my Italian holiday on the Palatine Hill in Rome, including a visit to the Colosseum. It was inspiring to walk among buildings - some over 2,000 years old - that were once the centre of one of the world's greatest civilisations. It was also a reminder of how no civilisation lasts forever - no matter how technically advanced and seemingly well resourced. I think that is part of what inspires the modern tourist: here was a society that surpassed all that had gone before it - inventing technologies it took over a thousand years to eventually replicate (e.g. : my favourite Roman building - The Pantheon). I guess it's the closest we get these days to an encounter with an 'alien' civilisation, one very similar and yet very different. But being Rome, the other thing that strikes you is the pervasiveness of the Catholic Church - much more so than in any other Italian city I visited. For obvious reasons, of course. 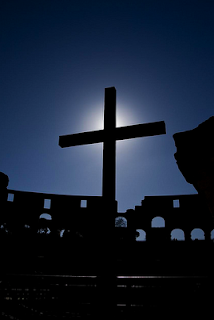 Also striking is the symbiotic development of Christianity and the late Roman Empire, as evident both in the historical records as well as in the buildings themselves. Intriguingly, quite a few of the surviving Roman buildings were 'preserved' by virtue of their becoming centres of Christian practice. Even the Colosseum - whence the photo - was saved from becoming a quarry (literally) by its declaration as a site of significant spiritual importance due to the number of Christians martyred there. The co-evolution of religious, political and economic institutions continues in Europe. As The Economist points out in a fascinating piece on the fate of the Catholic Church (some of the comments are insightful too) Europe is once again at a turning point in terms of the social and political relationship between Church and State. In effect, the process that began in Rome nearly 2,000 years ago of Church/State integration is now reaching a point of complete de-integration (and not just in Italy). Where will it end? Another Economist piece highlights the death of the European dream of progress towards an ideal civilisation. Much of what energised Europe historically (for good and for bad) came from the pervasive Christian culture that is now so apparently in demise. Though not completely: it seems, according to the Economist again, that the percentage of Italians who profess to be Catholics has risen in recent years, partly - it is suggested - in reaction to the increasing Muslim population in Italy. It would be easy to extrapolate a continued decline in Catholic and other religious faiths and their involvement in activities such as education, health and social welfare on the basis of present trends. But here's the thing: the imminent collapse of State-funded ponzi-type schemes such as pension provisions across Europe (and further afield) in the wake of the unfolding financial and economic crisis will, if anything, stimulate greater demand for faith based services. Throw in an ageing population and I wouldn't be surprised if religion - including Catholicism - experiences a strong come back in the coming decades. Come to think of it, it was the collapse of the Roman Empire that ultimately unleashed Christianity to become the global religious and socio-political force it eventually became. Not that it seemed like a great outcome if you were trying to earn a living on the Palatine Hill at the time. Life after civilisation is like that: better to make the most of the inevitable changes than to hark after the good old days. Especially if you are a Catholic. If foreign tourists are an indication of their respective countries economic fortunes then Australia must be booming and America is fully recovered from its recession. These two groups seem to make up the bulk of foreign tourists in Italy at the moment (or in Cinque Terre in Liguria, to be precise). And the Chinese aren't far behind (mostly in large, tour-guided groups - the Japanese tend to tour on their own/with their families these days). Another big surprise - in the five years since I last visited Italy - it has got a lot more expensive: eating out is now on a par with Dublin, and supermarket prices aren't too far behind. Maybe there's an idea for Tourism Ireland: invite the Aussies to continue on to Ireland, and enjoy the benefits of our newly deflated, lower priced economy?